A well established Refrigeration and HVAC Company located in Eugene, Oregon, with over 50 years of experience. We are involved in all phases of Commercial Refrigeration, HVAC along with a 24 Hour Service Department. We specialize in Supermarkets, Convenience Stores, Refrigerated Warehouses, Wineries and Restaurants. In addition we offer customized Preventative Maintenance Programs for our customers, designed to minimize equipment breakdowns and maximize system efficiencies. We are a licensed contractor to work on projects throughout the States of Oregon and Washington. 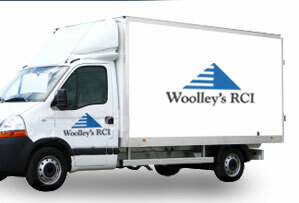 At Woolley’s Refrigeration Contractors, Inc., our goal is to provide a positive and effective working relationship with our customers. We have excelled in our industry because of our experience, knowledge, workmanship and professionalism. Our technicians are extensively trained to install and perform service and maintenance on many Refrigeration, HVAC and hot food equipment.